ACU's history is a testimony to the providential work of the King of kings and our Father in heaven. I'm often asked to recount ACU's history. All history is a narrative of God's providence. It's His-story. 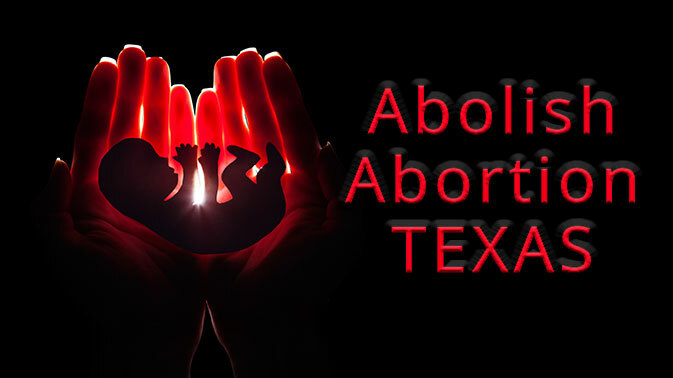 In the case of ACU's history, the details clearly reveal God's orchestrating hand at work. As Nehemiah sought to tell "of the hand of my God that had been upon me for good," leading the Israelites to respond, "Let us rise up and build;" the testimony of God developing the vision of ACU should motivate us as Nehemiah recounts, "they strengthened their hands for the good work (Nehemiah 2:18)." 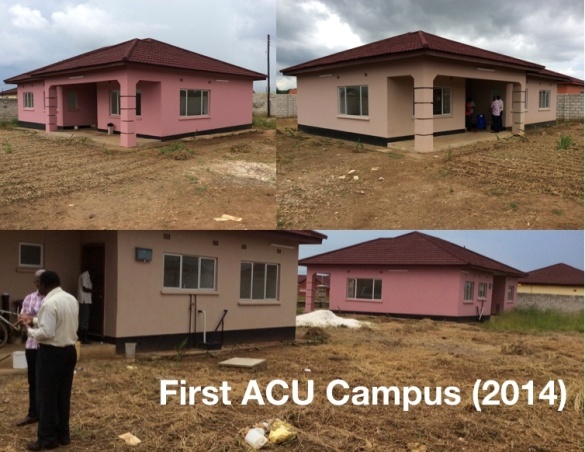 This is a testimony of God's work of providence to bring about the vision upon which ACU has been developed so that God might strengthen our hands for the good work. May God's glory as the King, and His grace and love as our heavenly Father resonate through ACU's history. Receipt of the "1999 National Science Foundation Career Award" for work in research and teaching in Organic Chemistry set my academic career. 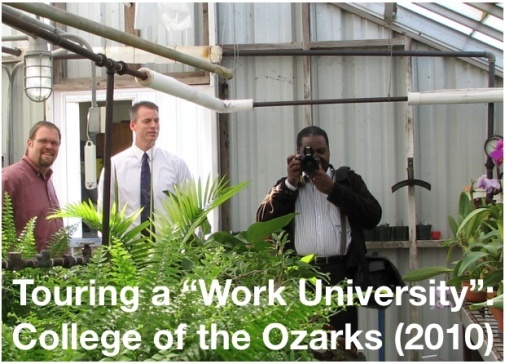 As a result, promotion to a professorship (tenure) at the University of Arkansas was awarded. This is where God's providence took an unexpected turn. A deep desire to more fully serve God grew while studying D. Martyn Lloyd-Jones' "Studies in the Sermon on the Mount. "These studies resulted in my leading a 9-month study of Matthew 6:33 at my family's home church. A conviction brewed to a boil that my life had been more about seeking my own kingdom through my academic accomplishments rather than God's kingdom through seeking His righteousness. 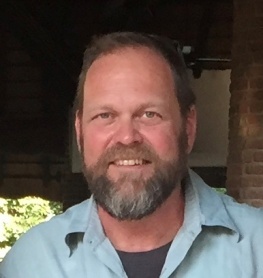 This led to a five-year process of retiring from the university and preparing for church planting work with my wife Lisa and our five young children in Mozambique. Although garnering little support for this transition from family, friends or colleagues, God provided the faithful few brethren who encouraged us to stand firm in accepting God's providence for this significant life transition. our mission's church-planting leadership team recommending that I pray about pursuing the apparent open doors toward the development of Christian higher education in Mozambique. This led to my full-time research of African worldview and education without fully realizing that God was using the experience from my science background for an unexpected kingdom objective. The literature trails were followed and studies undertaken of the works of various African philosophers, theologians, and other authorities. Tables of worldview issues were developed for defining the African traditional and African urban perspectives on those issues, comparisons drawn to the Biblical worldview, and then the transforming work of the Holy Spirit in shifting from the African worldviews to the Biblical worldview was considered. The history of higher education and its Christian influence was thoroughly studied. Particularly influential was the Puritan influence through the concentric diagram describing ACU's education approach from t he Christ-centered core, through the Classical-education influenced "Encyclopedia of Knowledge," to the character-forming outcome, meshing well with the Kuyperian approach. Frightfully, the Classical influence and its steady secularisation through the Enlightenment were also clearly understood. This opened understanding as to how higher education might effectively provide the environment for worldview transformation by God's Spirit in the African context. This knowledge slowly founded the vision for Universidade Cristã de Moçambique (later to become "African Christian University"). Like the discipling work of Christ, it was apparent that practical, hands-on experience, not just intellectual work, was critical for effective Christian discipleship through a university. This became critical to the emphasis on the "cultural mandate," a generally missing component in higher education (Christian and secular), and in the church. One day while studying the worldview tables and pondering the need for practical experience, in God's providence Lisa was reading aloud a biography on Booker T. Washington to our children for homeschooling. Hearing interesting concepts in what she was reading, I began to search for and read about Booker T's most influential work: the Tuskegee Institute (later to become a university). Learning about his concepts for what has presently been formulated as ACU's Student Labour Programme, I was able to learn great detail as his developments became influential in what is now a consortium of universities in the USA called "Work Universities." This component was formulated with a heavier emphasis on discipleship to become significant in ACU's vision. This was clearly a providential work that God's grace implanted at just the right moment. Another critical component for ACU was that it be formed as an indigenous work under the authority of the church. In Mozambique, I had met the deepest, worldview-thinking pastor in my experience, Pastor Ronald Kalifungwa. He was later reconnected to me through a South African theologian, Bruce Button, whom I was trying to recruit to join the work of developing ACU in Mozambique. 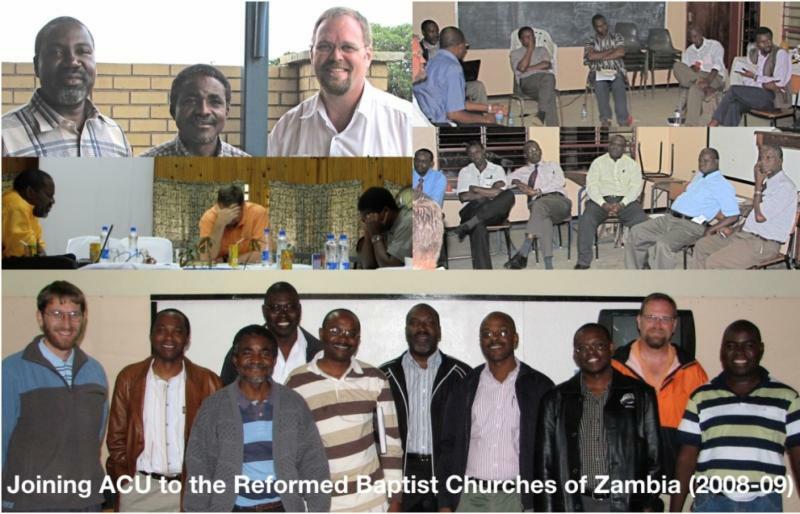 Bruce discerned God's providence leading him to work with the Reformed Baptist Churches of Zambia (RBCZ) instead of moving to Mozambique. In answer to my prayers, this resulted in my contacting Pastor Kalifungwa to see if the churches in Zambia would have an interest in overseeing the ACU project. 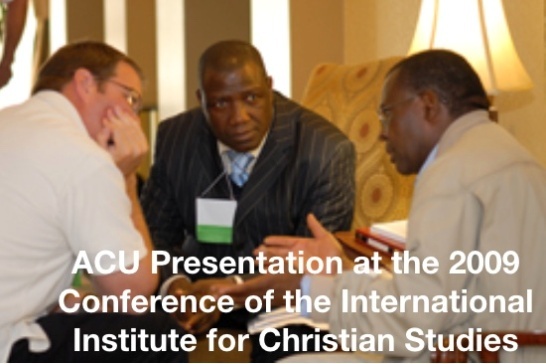 This led to our first meeting in December of 2008, including Pastor Conrad Mbewe and many elders, which initiated the formation of ACU in Zambia and my eventual establishment of supporting charities in the USA and South Africa. It was only after this meeting that the most frightening realization struck. My role wasn't simply to do the research behind starting ACU, as I had come to accept, but through a life-threatening and global prayer-answering bout with cerebral malaria of our eldest son, Ian, God's providence made clear that through faith in Him I could help the RBCZs start the groundwork for the enormous ACU task, as well. From there, His-story of ACU grew. 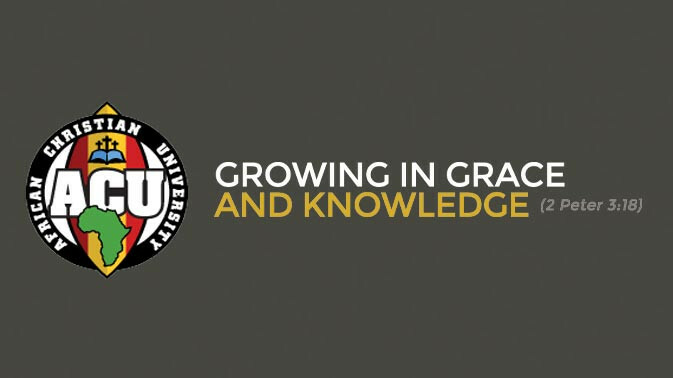 God's glorifying providence could be testified through many other aspects of ACU's development history. Many personal experiences have been passed over for brevity. This Biblical worldview, redemptive grand-narrative, semi-classical, cultural mandate, mentoring-focused, Africa-relevant university  is a testimony of the hand of God in bringing about His providential purpose through weak, unsuspecting vessels made honourable by Christ for His use. God's providence supplies each of us in Christ with the abilities and experiences He intends to use for His glory. Seek first the kingdom of God and His righteousness, trusting that everything will be provided for you. God will strengthen our hands for the good work of ACU. This was the approach used in: Jack Chalk, Making Disciples in Africa. Langham (2013). David H. Scott, "A Vision of Veritas: What Christian Scholarship Can Learn from the Puritan's "Technology" of Integrating truth." http://www.leaderu.com/aip/docs/scott.html#text4 (accessed 14 Aug 2018). James T. Burtchaell, The Dying of the Light: The Disengagement of Colleges and Universities from their Churches. Eerdmans (2001). Ken Turnbull, Discipling Africa Through Higher Education: a Proposal for an African Christian University. Mission Frontiers,(November-December 2011), pp.16-18http://www.missionfrontiers.org/issue/article/discipling-africa-through-higher-education(accessed 14 Aug 2018)].